Thanks for checking out my blog. If you’d like to contact me, please fill out the form below and I’ll get back to you as quickly as possible. 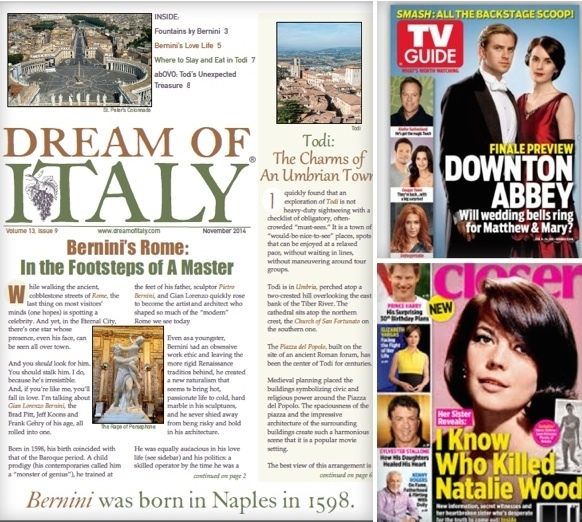 I was the features director and managing editor at TV Guide, the executive editor at Closer Weekly, as well as writing for travel publications, like Dream of Italy. I also was editor-in-chief at Written By, the monthly magazine for the Writers Guild of America, the screenwriting union. I’m available for freelance writing and editing assignments, as well as project management. Thanks!